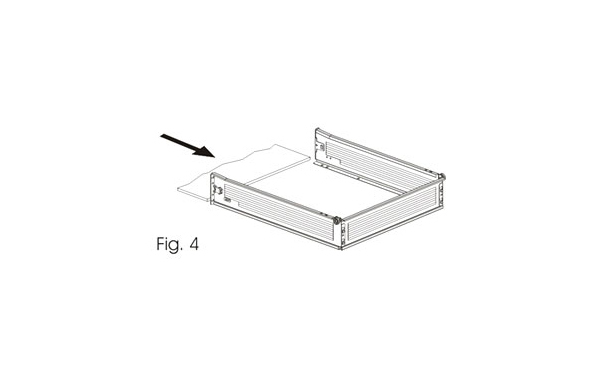 A unique new way to assemble a drawer by clipping on a matching back panel. 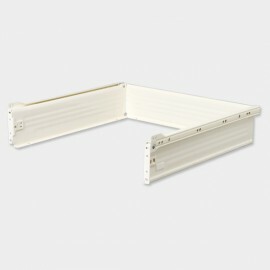 This not only improves the look of the drawer but also saves valuable time during assembly and brings down cost. Tilt and remove capability with guiding. Precision rollers for smooth running with front facia adjustment. 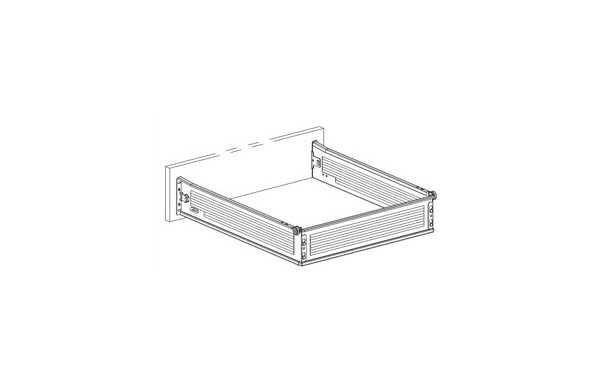 Side gap of 15.5mm is required and acts as side panel of drawer (Fig.1). 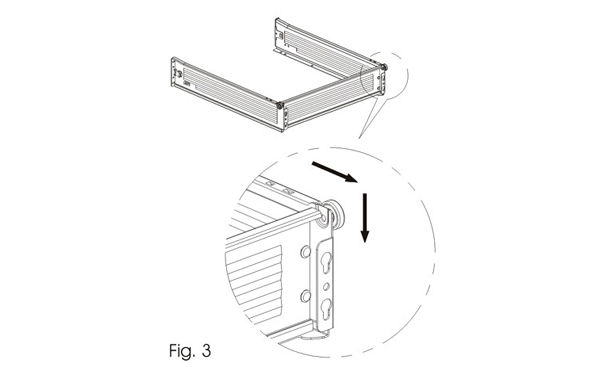 25.4mm clearance from top edge of drawer required to tilt and remove drawer (Refer Fig. 2). 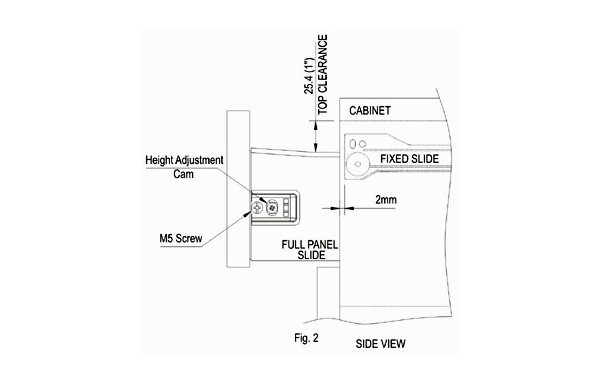 Fixed slide should be set by 2mm for 'Auto-Closing' (Fig. 2). 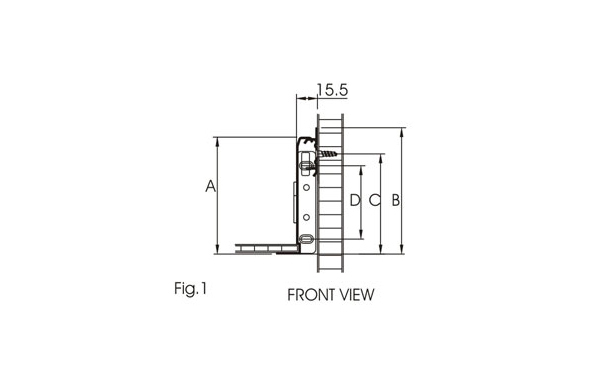 Fixed slides should be fitted parallel and at equal heights to each other. 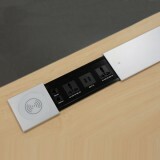 Insert the Rear panel onto the Side panels through the key slot provided in the side panels (Ref. Fig.3). Place the bottom flap through the track provided in the Side panels and fix the front facia with the Bracket and insert the unit onto fixed slides which are fitted internal sides of cabinet (Ref. Fig.4).